What you need to know to make the best choice for your home. Air conditioners are a vital staple in most households. With sweltering summer temperatures, the need for a cool refreshing breeze flowing throughout your home is becoming ever more necessary. Air conditioners serve a vital purpose… cooling the air temperature inside of your home to an appropriate level. There are many different types of air conditioners out there, each with different capabilities based on the speed that the air is lowered, performance, and durability of the hardware itself. The cooling of the air usually involves a cycle of refrigeration and purification, however, in some cases evaporation devices or free cooling machines are used as well. Some of the latest models of air conditioning units are barely noticeable and much smaller than their older predecessors of the past. There are a few critical questions that people ask before purchasing an air conditioning unit. These may include, which type of AC unit is best for my home? Do I really need an air conditioning unit or can I get by without it? How much money will an air conditioning unit cost me? How much do the portable units weigh? All of these questions will be answered in this guide to give you the most valuable information and knowledge that you need in order to make the best possible decision for your home. Air conditioning units come in many different shapes and sizes. In order to choose the right type of air conditioning unit, you need first to assess where you are going to install the unit. From small studios and apartments to large multi-room homes and mansions, there are many different factors to consider and take into account when assessing the right type of air conditioning unit. There are numerous different aspects to consider when trying to decide which unit is best for your home, such as how many rooms are in the house, what is the size of the room, is there a ventilation system in place, and will the air conditioning unit be inside or outside of the home. For larger homes, a more intricate and expensive air conditioning unit will most likely be required to provide the necessary power and cooling to reach throughout the entire home. For smaller homes or studios, only one or two rooms are required to cool, thus mitigating any drastic changes and allowing flexible implementation of a smaller air conditioning unit. Location and environmental seasons/temperature also play a crucial role. 1. How much space do you want to be cooled? Some people like to keep their garages or attics cooled by the AC for storage purposes, and some people just want to have their master bedroom cooled. It is important to also take into account extra rooms or smaller spaces in the house that you are considering implementing your AC system to reach. 2. Construction and material of the home and walls. Another important factor to consider is the quality and material of the home. For example, older brick homes are more likely to absorb heat and retain hotter air than newer apartment complexes with special chemical compounds in the walls and paint that is designed to reflect heat. You need to do the proper due diligence before investing in an air conditioning unit and figure out how your home affects your AC plans. Many air conditioning installment companies offer complimentary home inspections that take many different factors into account when trying to figure out which AC option is the best for you. 3. Location of your home and the surrounding environment. An important concept that you need to consider is the location of your home and the environment that you are surrounded by. Is your location constantly under the gaze of the sun or do you live in a home with tall trees that shield you from the heat? Are there hills or mountains nearby that the sun goes down past at a certain time every day? Do you live in a humid desert or moist swampland where the weather isn’t too hot but the humidity is very high? 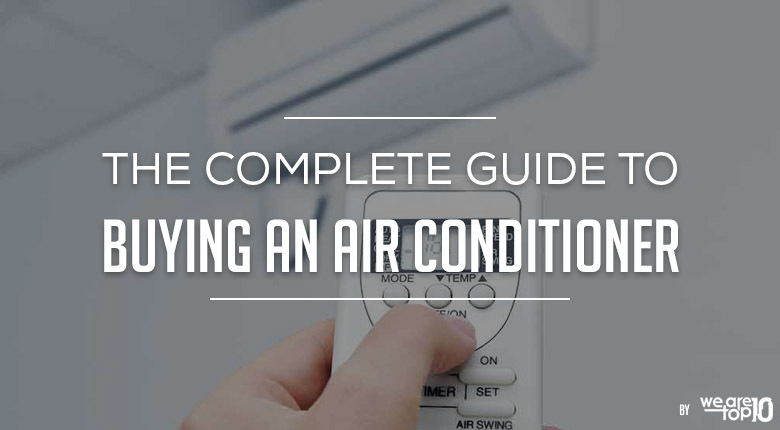 You need to take all of these things into account when planning on getting an air conditioning unit because getting the right device for your home and for your money requires taking all of these external factors into consideration. 4. Where should you place your air conditioning unit? There are different types of air conditioning units that can be considered. You can purchase special AC units that are installed in windows, attached to the floor or hooked up to a wall. Some units are located outside of the home while others can be placed in a more discreet location. There are also different types from portable AC units and central coolants to ductless or split coolants. Lastly, you need to consider the financial implications of getting an air conditioning unit and how different devices can equate to different costs. Bigger air conditioning units require more electricity to run and hotter climates require the AC unit to be on for a longer period of time. The air conditioning device that you purchase can take a large chunk out of your utility bill every month if you aren’t careful, so be sure of what you’re getting and investigate your options thoroughly before you proceed with any major purchase. There are many different types of air conditioning units, so choosing the right one and right size for your home is of the utmost importance. Whether you desire a high-quality coolant or just need something small to get you through a few weeks, this guide will show you your options. These AC units are like the description states… portable and mobile. They are floor systems usually with wheels that cool rooms down by removing heat out of the air and dehumidifying it, then returning the air much cooler into the same space. However, the one catch with these devices is that they also exhaust the hot air as well from a separate exhaust port in the device. This means that they need to be placed near a window or semi-outdoor location in order for the hot air to be released out and away while the cool air is blown into the house. Here is our Top 10 Best Portable Air Conditioner Reviews. These portable devices are usually on the lower end of the cost spectrum. However, some portable devices can be quite expensive. Dual exhaust ports, one releasing cool air and one exhausting hot air. Can be configured to fit a certain size room or apartment. Comes with a special do-it-yourself kit that lets you configure the exhaust ports to your liking. Highly mobile and highly portable, you can move these from room to room with ease. Less expensive than most other air conditioning units. These devices can be aesthetically unpleasing to look at. Often bulky and sticking out compared to furniture and other home decor, these aren’t the most visually appealing AC devices. Lack of cooling to other rooms. These portable devices are usually good for one thing alone… keeping the room, they’re in cool at the expense of the other rooms in the house. The hot air exhaust adds the limitation to the “portable” air conditioner. Designed to be placed on a window frame or small window hole that can handle the weight of a box sized air conditioning unit. Usually, square or box-shaped, these air conditioners vary in size from small to very large. These devices are semi-portable. Often requiring a bit more installation than the portable AC units, the window air conditioner units must be latched or attached to the window frame. However, they can still be removed and placed in another window should the need arise. Free up floor space for furniture or other objects in your home. Large and clunky, this box or square shaped AC units take up the entire window space. They often obstruct the view and aren’t aesthetically pleasing for a home’s ambiance. They only cool one part of the home, similar to the Portable AC units. Price Range: Anywhere from $100- $2,000. This AC option is nice because it gives the room a more modern and elegant feel while also keeping it cool. The AC unit has a much more modern aesthetic look and sits thinly along the wall as your HD TV would. This option is very similar to the window AC units, and the through the wall air conditioning units also lack any exhaust vent to eschew hot air, due to a lack of access to the outdoors. The newer technology in these devices allows it to give off more cooling power as well. Designed to be placed on a wall, these AC units have newer technology and are much thinner than other AC units. These units are surprisingly heavy. They do not have an exhaust port for hot air and have a stronger cooling power than the previous two options. These devices free up your floor space as well as your window views. They can attach seamlessly to the walls and have a clean cut, modern look. Exude a ton of cooling power, keeping rooms exceptionally cool for hotter climates. These are quite heavy, and only cool one room at a time. Price Range: Anywhere from $400- $5,000. Considered the most popular of all the air conditioning devices, the ductless AC units are known for their high-efficiency cooling mechanisms. This is the unit that will give you the most bang for your buck. The ductless system usually operates by having a main outdoor system with multiple mini hubs placed throughout the home to deliver cooling throughout. Wall mounted coordinated system that allows each room to be climate controlled for maximum flexibility. The main system placed outdoors with cooling lines that run into the home to the various ports placed throughout different rooms. This AC system is extraordinarily quiet, low profile and capable of cooling multiple rooms in the home at once. Can be placed in special strategic locations throughout the home. This system does not come cheap. While on the more expensive side of the spectrum, it delivers extensive AC cooling throughout your home and is more than capable of handling heavy duty AC needs. Price Range: Anywhere from $500- $10,000. Weight Range: Weightless – Multiple systems throughout the home. What is the best kind of Air Condition Unit? It is impossible to say that one AC unit is better than the rest because it is such a case by case basis. You need to analyze the layout of your home, your environment, and your local weather in order to determine the best AC unit for your property. What might be a great fit for one person might not work for another? Which air conditioner is the most energy efficient? Energy star is a rating which determines which air conditioner is energy efficient or not. The Energy Star program requires air conditioner manufacturers to quality and meet their standards, and once they meet them, they can use the energy star logo on the air conditioner proving that their air conditioner meets the standard. For consumers, the capacity in BTU is usually the factor to look at. The higher Capacity or BTU means the air conditioner will take more energy but will also cool big room quicker. On the other hand, an air conditioner with low BTU will consume less energy. Which air conditioner is quietest? Air conditioners are known for the product a lot of noise and at times making it hard to sleep. If you are someone who is looking for a quiet air conditioner, look for the noise each unit produces in decibels unit. The lowest decibels mean the unit will be very quiet, the ductless split air conditioners are usually the quietest of all and should be considered if it is a priority for you. Are AC units really necessary year round? Air conditioning units come in handy when you least expect them too. While needless to say they are critical during the hot summer months, there are always unexpected occasions throughout the year when it is hotter than expected and you’ll be glad that you have an AC unit to turn on when you need it. Do you need to hire a company to install your Air Conditioning Unit? No, you do not need anyone to install your AC unit for you. While it might be helpful to schedule a consultation or in-home assessment, there are many options that are easy to self-install and can save you a lot of money.